Delving into the community’s past has been one of the highlights of running the New York Public Library's Community Conversations program at the St. Agnes Library. The participants and I learned about Operation Move-In, a local tenant’s squatters movement and the birth of the organization El Comite. El Comite was predominantly founded by Puerto Rican immigrants and in the most unlikely circumstances. According to co-founder Pedro Rentas, the organization began on a hot summer day in June 1970 when a group of thirsty softball players called on their neighbors to collect money for beer. They were able to collect over $100! Feeling guilty about spending all the money on beer, they bought ice cream for the neighborhood children. This simple act inspired them to do more for their community: they started to clean the local basketball court, showed outdoor movies, and eventually become organizers in Operation Move-In and officially named themselves El Comite. Learning the origin story of El Comite provided our patrons with a greater sense of the vibrant history of their neighborhood. Since our first session, we’ve covered a wide array of topics, from gentrification to reducing plastic waste, working with several community organization and stakeholders. Our councilmember, Helen Rosenthal, led a discussion on civic engagement in New York. In addition, we partnered with the city’s Sanitation Department to distribute free, reusable plastic bags to our patrons. 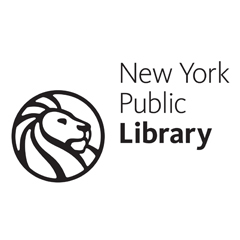 The St. Agnes Library is proud of what we’ve been able to accomplish through The New York Public Library’s Community Conversations program. But it’s safe to say the program has limitless potential to inform and educate our patrons. One of my favorite conversations, A World in Transition: Current Events in Context, allowed participants to take a step back and look at history from a broader perspective. Borrowing from the study of "Big History," we juxtaposed current events in light of the accelerating rapidity of change since the Industrial Revolution. This discussion was one of the most popular that we had; at least a handful of patrons expressed to me that they don’t have the opportunity to discuss these topics outside the library. A recent study by Cigna revealed that nearly half of all Americans feel lonely. Libraries are often the only public institution that can offset this isolation. Programs like Community Conversations provide a needed avenue where patrons can interact and engage with their neighbors. We can discuss unique ideas, support civic engagement, and provide a safe space for all. Irfan Ali is a librarian at the St. Agnes Branch of the New York Public Library.